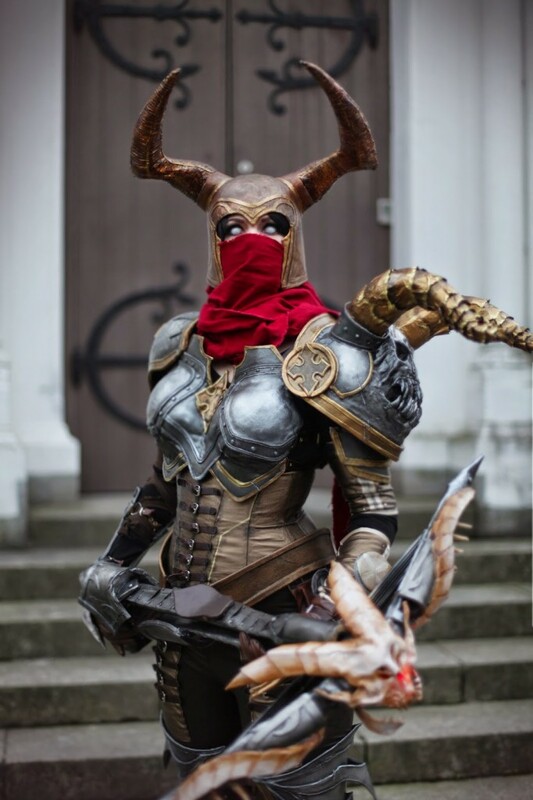 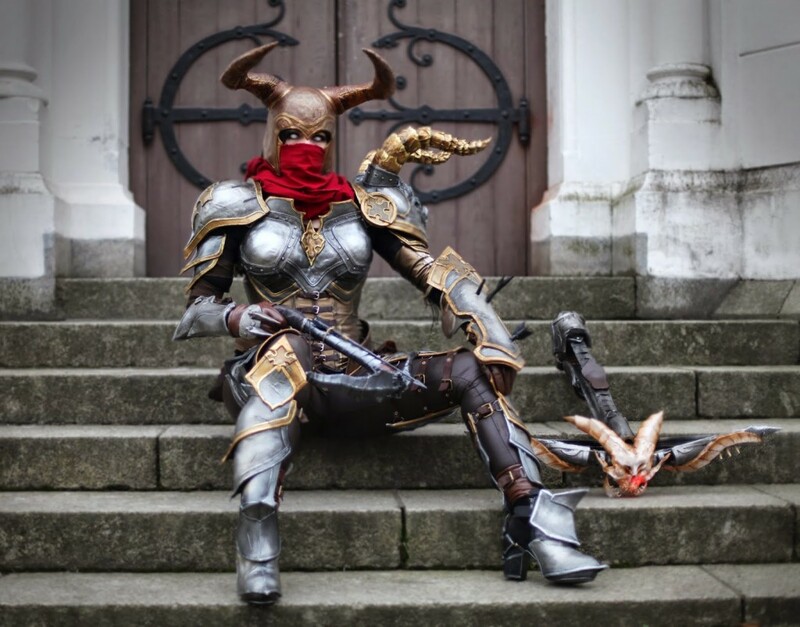 Chrix Design shared this detailed writeup covering the Chest Plate, Leg Armor, Pauldrons, Helmet, Shield and Bracer, and Crossbow of her Demon Hunter from Diablo. 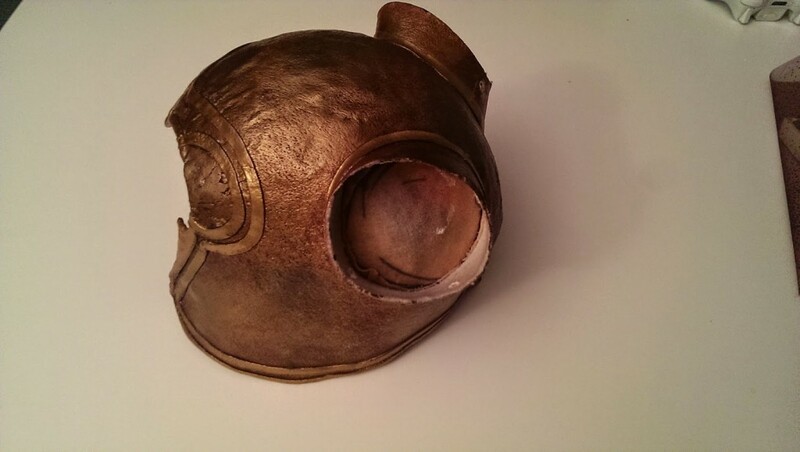 I altered the the design a little, since the resolution of the concept art of this feature was a bit undefined. 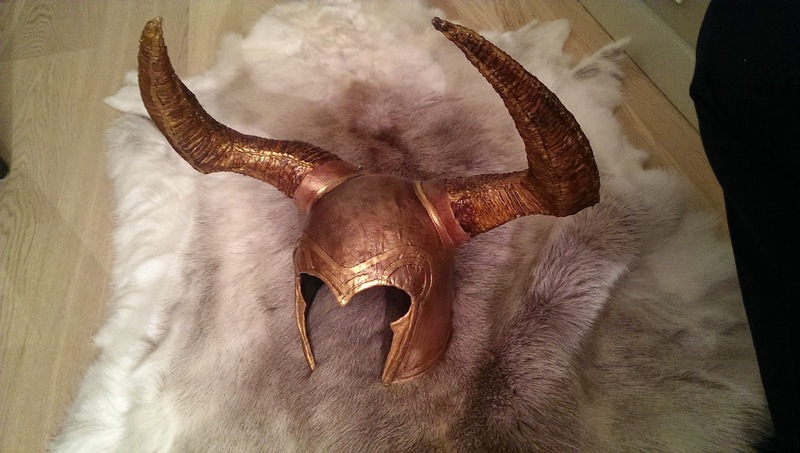 I wanted to add a bit more edges to the horns and detailing in the back. 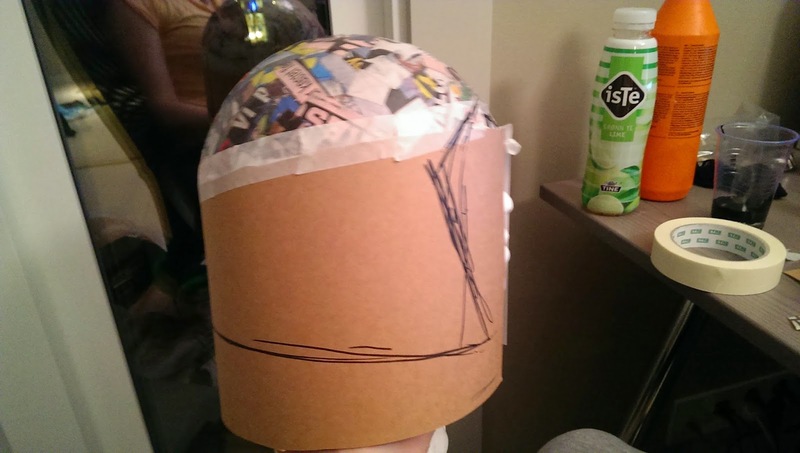 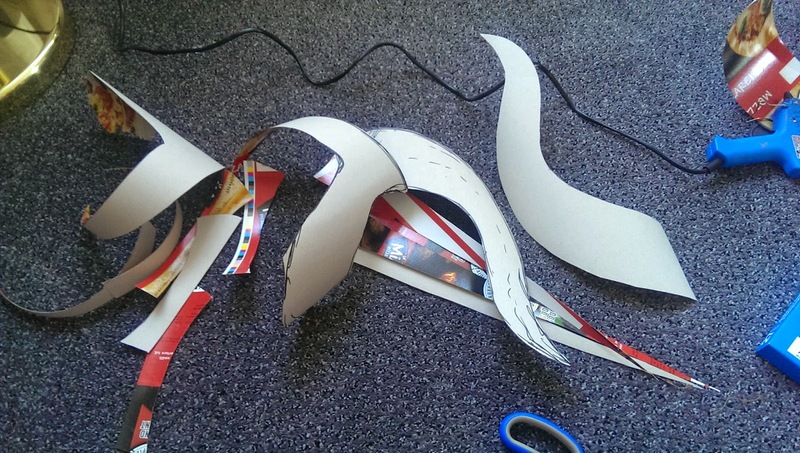 I had no idea how to begin this build process, so I did what I know best – cardboard. 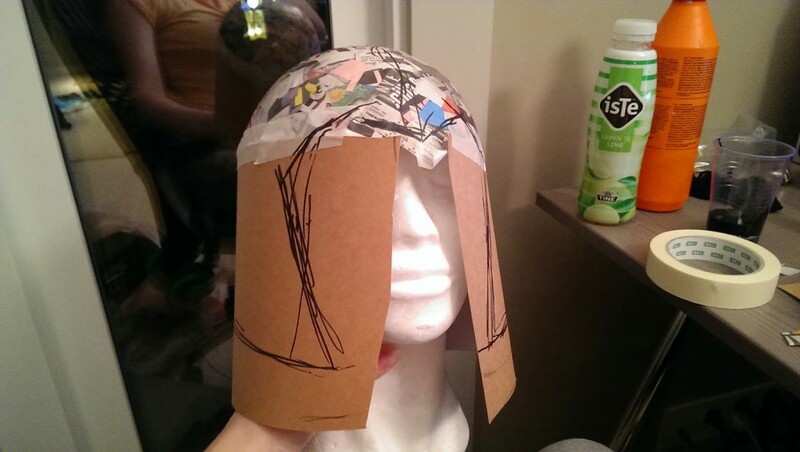 And then wrapped the cardboard mock up with worbla. 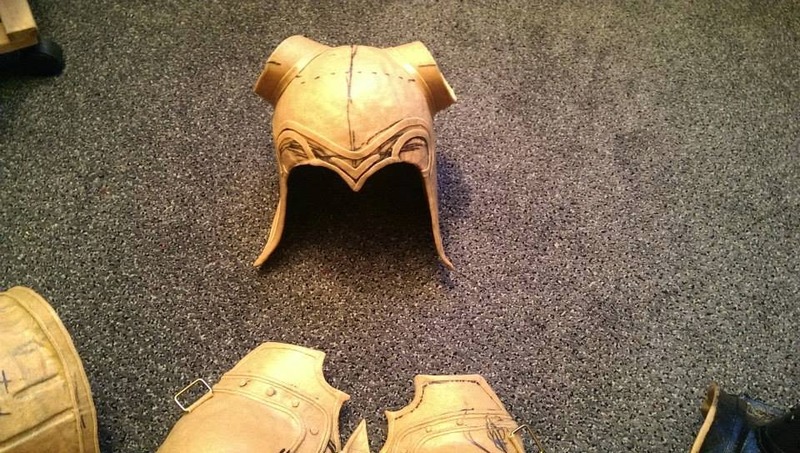 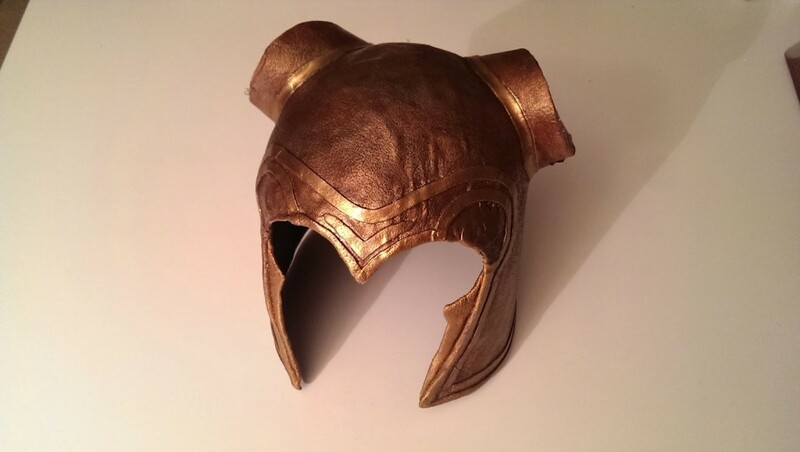 Sine the look of the helmet is forged it works great with this slightly uneven surface. 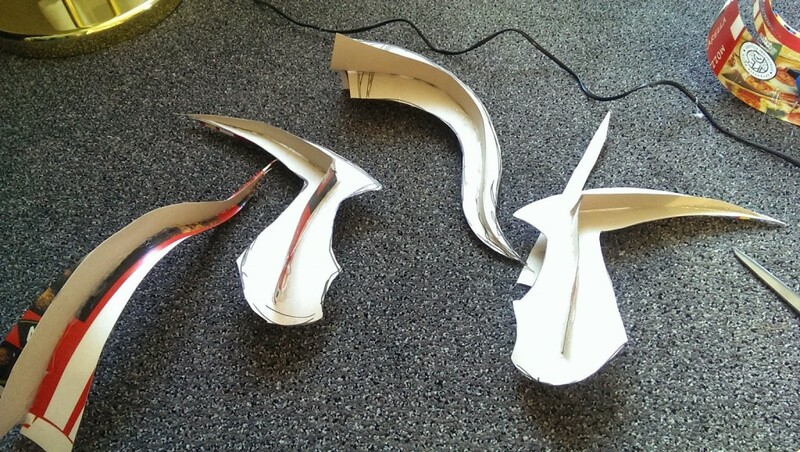 Still a way to go, but we are getting there. 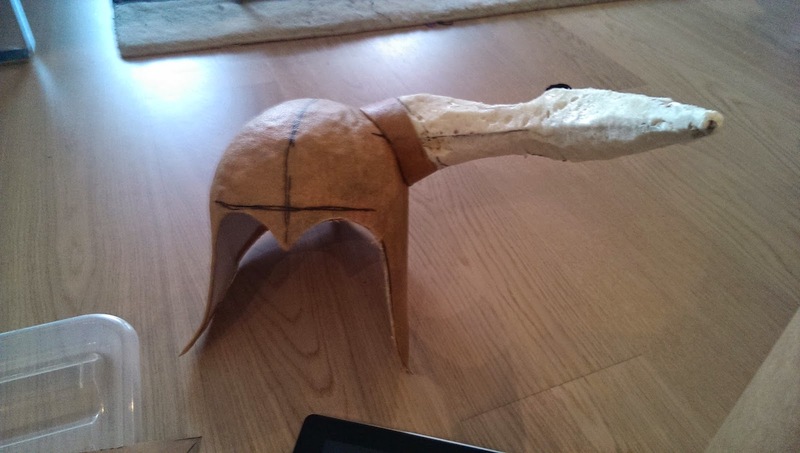 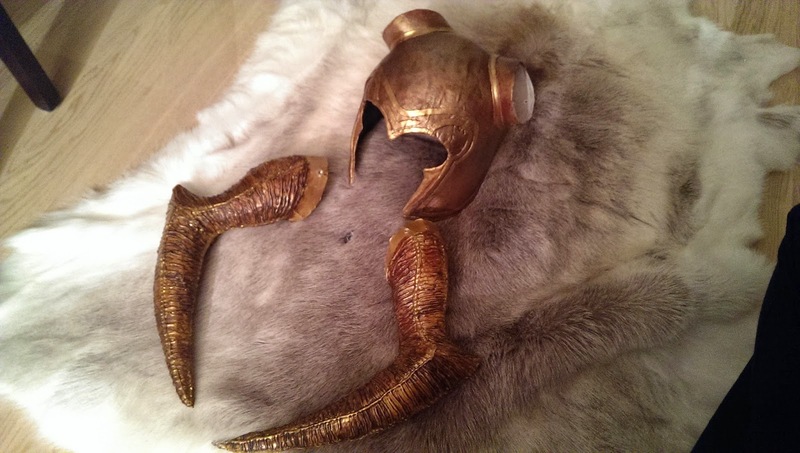 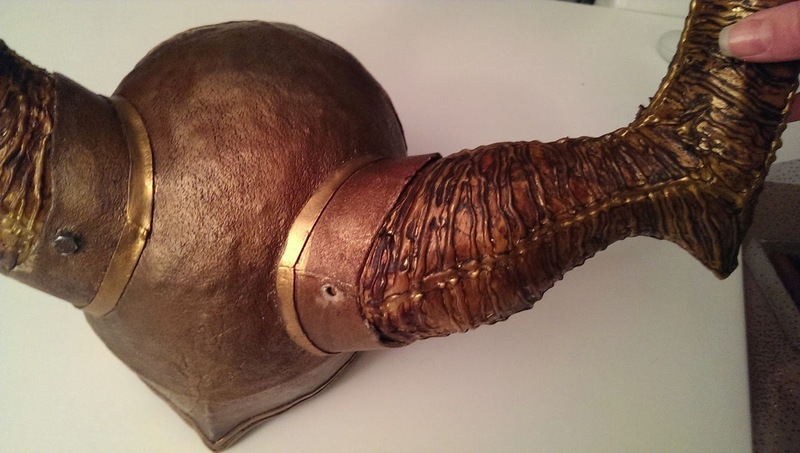 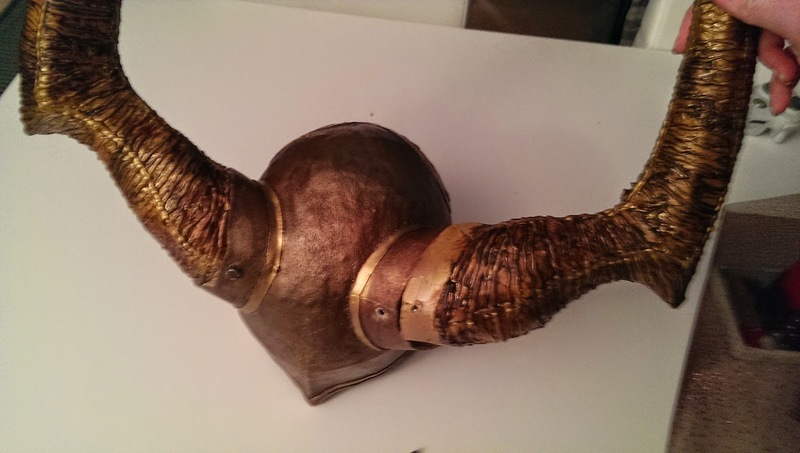 The horns were expanding foam base (see horn for the pauldrons). 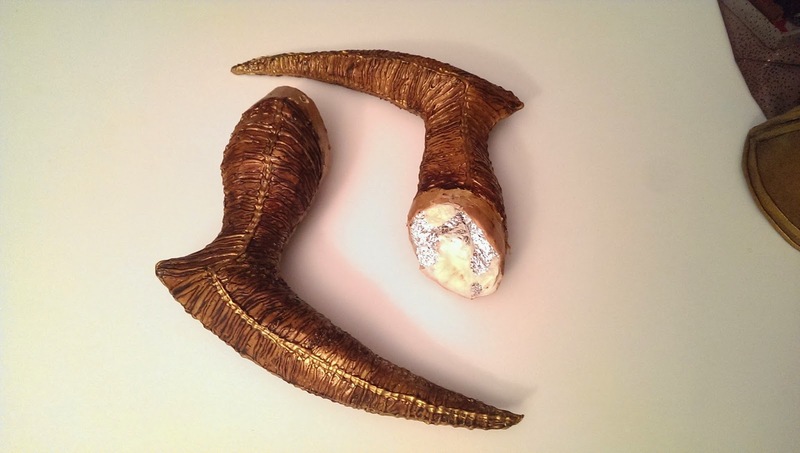 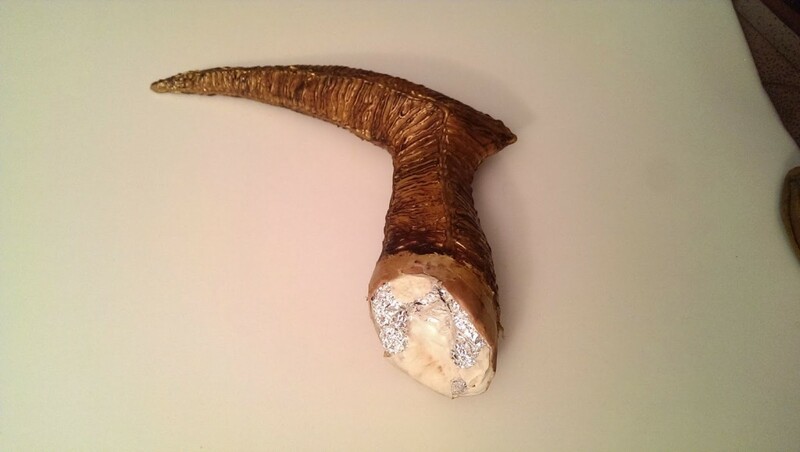 Then the horns were carved out and covered in masking tape. 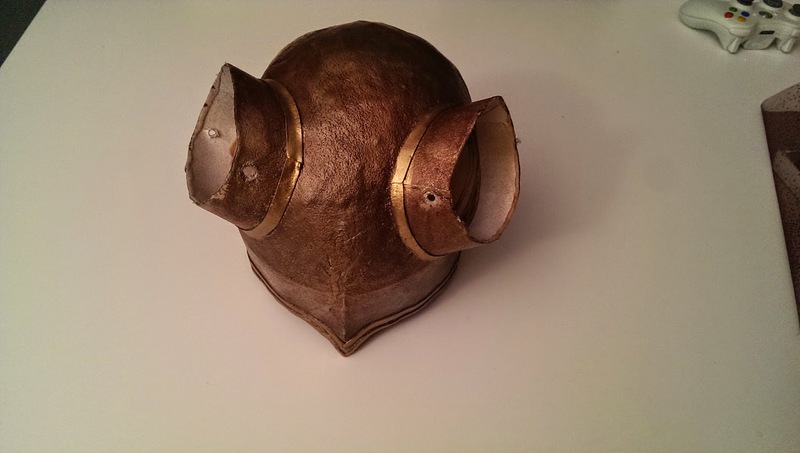 To get a different texture on the helmet than on the pauldron horns I added Glue gun glue around and round the horns (took forever). 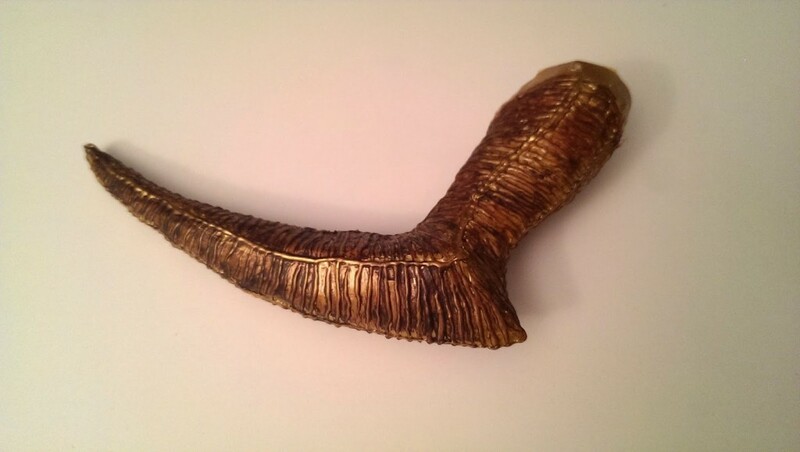 Then They were spray painted gold and heavily weathered with brown acrylic paint. 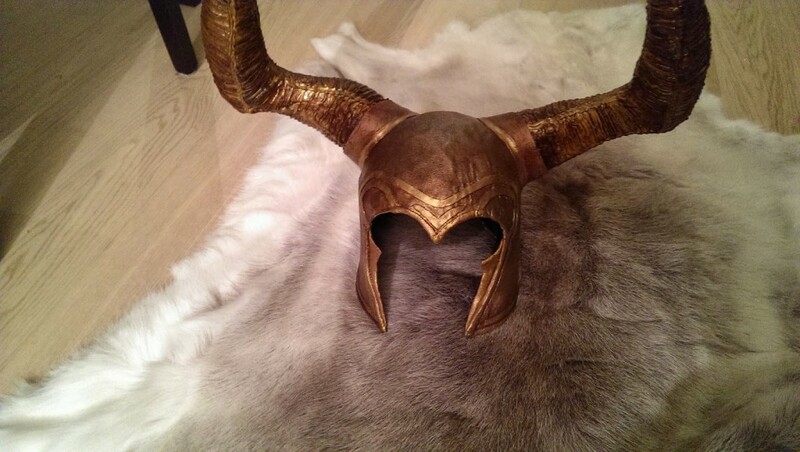 Back to the base of the helmet, testing horns, not happy yet. 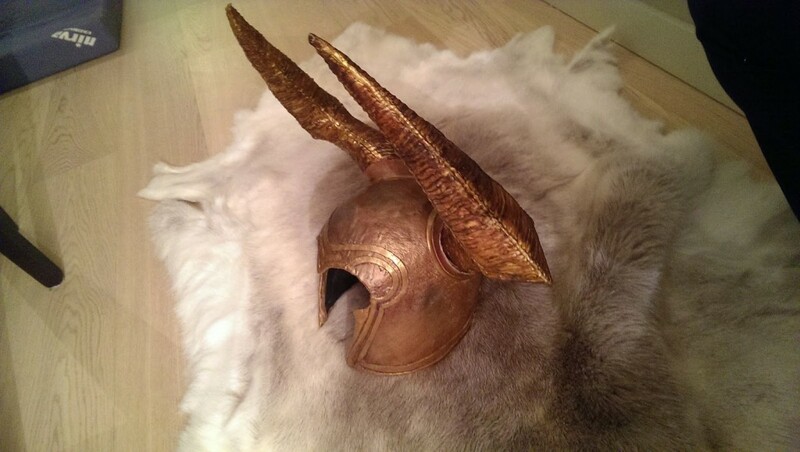 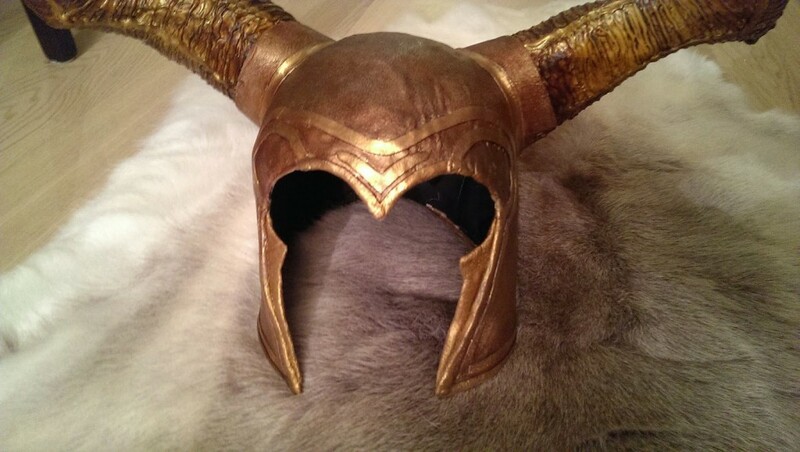 The base was painted the same way as the horns. 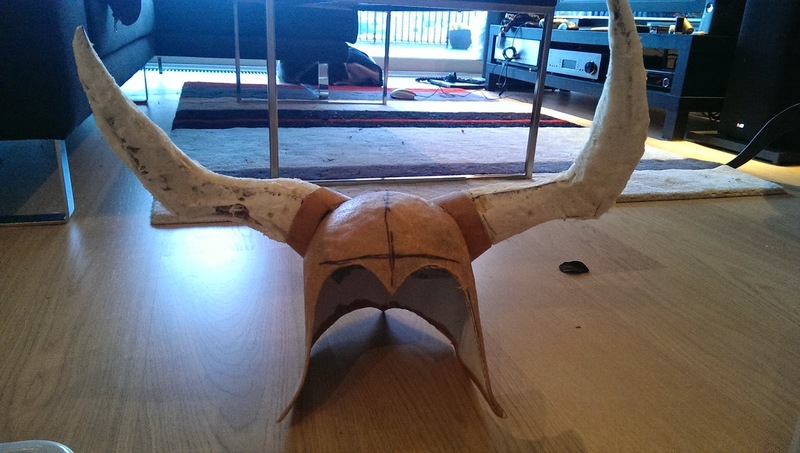 To attach the horns I have embedded 5 mm nuts in the horns and secure them with 5 mm bolts. 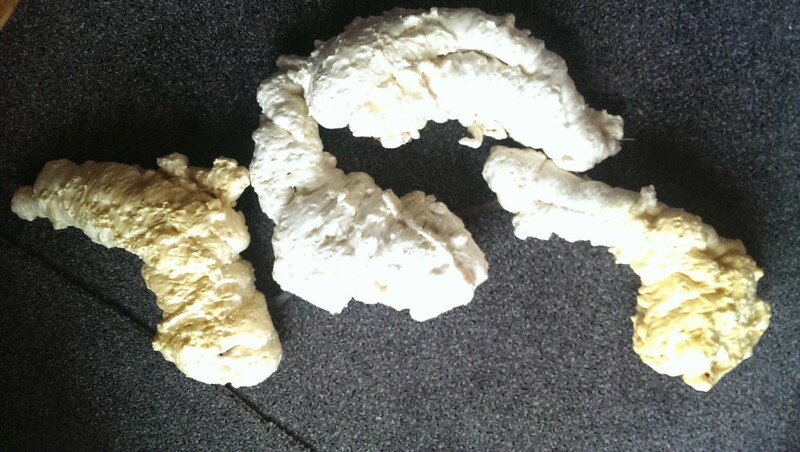 I have even made a youtube video explaining and showing how to take them on and off.